It is getting really warm here in our part of Oklahoma, and this is a great healthy treat for those warm days! Hope you enjoy it! Place all ingredients in to smoothie maker or blender. 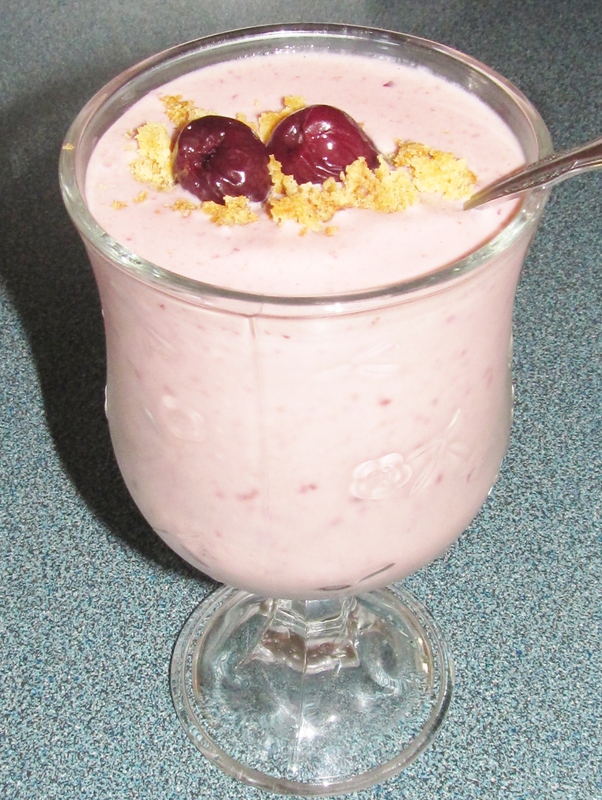 Blend until smooth and garnish with GF cookie crumbs, chopped nuts and sweet cherries. Enjoy! Note: When my bananas start to turn I like to slice them up and freeze each banana in an individual bag. That way when I need them to make smoothies or use them for banana bread, I know I am getting the right amount. Also there is usually one banana that no one will eat.